A proposal to refurbish and expand the 93-year-old Rocky Hill in Goulburn has been approved, with work expected to commence later this year. The rejuvenation project was green-lit by the NSW regional council after receiving a “Building Better Regions Fund” federal grant in 2017. 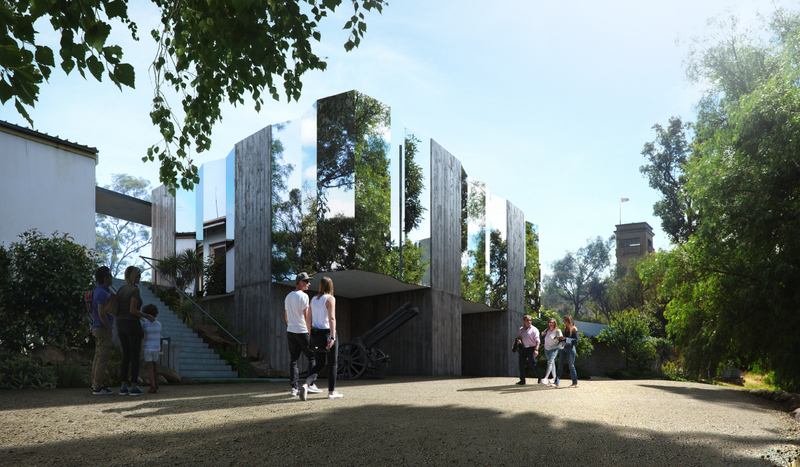 Architecture firm Crone responded to Goulburn Mulwaree Council’s brief with a contemporary design which involved a new structure to complement the existing museum that once served as the caretaker’s cottage. “Rocky Hill Memorial Museum is a unique project due to the location and history of the site and we are honoured to be involved,” Crone principal Niall Durney said. Crone’s design incorporated mirrored cladding elements to their new textured concrete structure to reflect the surrounding landscape. 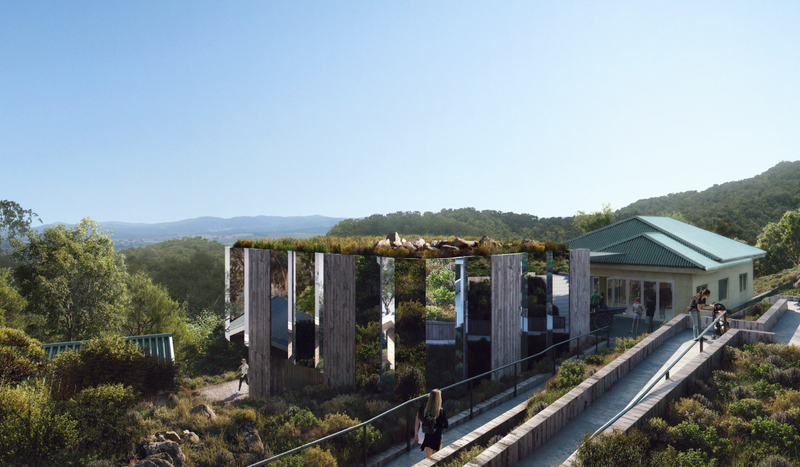 Native grass plantings on the roof mimic the surrounding rugged landscape and help to blend the new building into the rocky escarpment, particularly when viewed from the memorial tower above. All of the materials in the design were selected to comply with the region’s stringent bushfire controls. The current war memorial, erected in 1925 as a tribute to the men and women of Goulburn who served in the First World War, stands 20 metres above the peak of Rocky Hill. The lookout gallery at the top of the Memorial provides views over the city of Goulburn and surrounding district. The nearby Rocky Hill Museum holds a collection of objects, memorabilia, military heraldry and technology, allocated to the city of Goulburn after the First World War, as well as collections related to Goulburn’s association with subsequent wars. Goulburn Mulwaree Mayor Bob Kirk said the modern design elements would be fitting with the landscape of Rocky Hill, whilst also blending in modern elements and finishes.